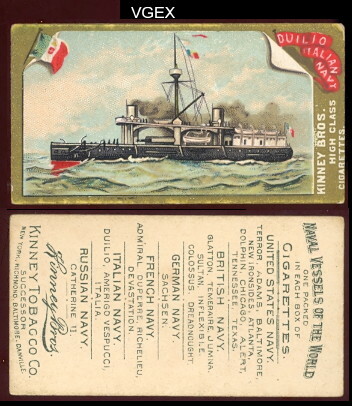 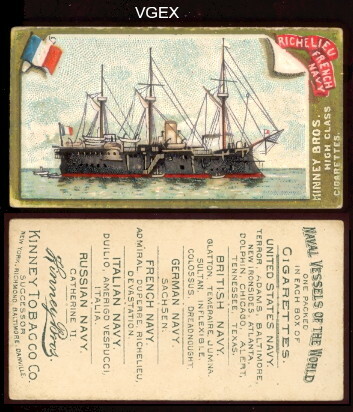 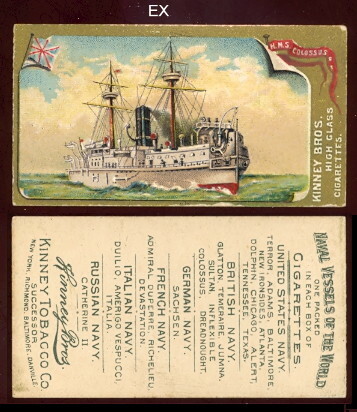 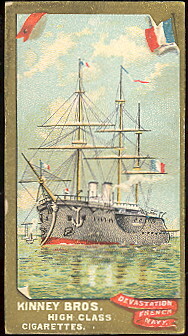 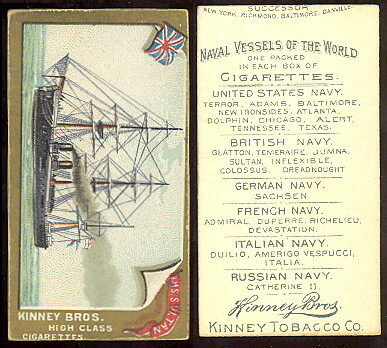 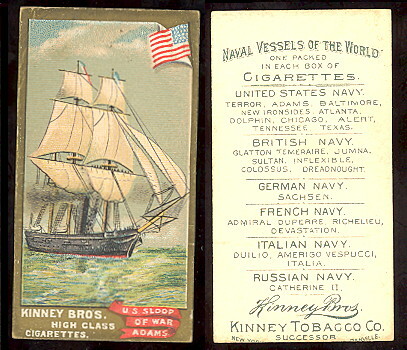 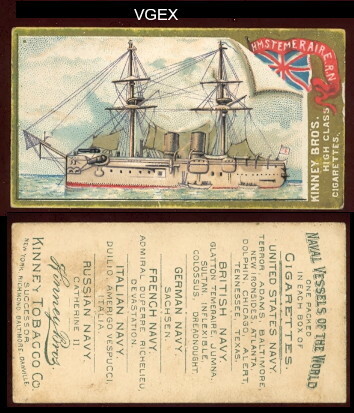 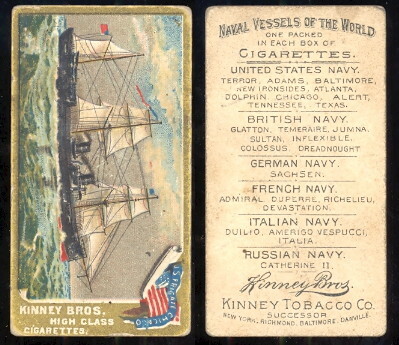 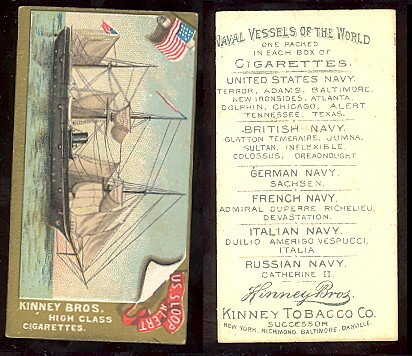 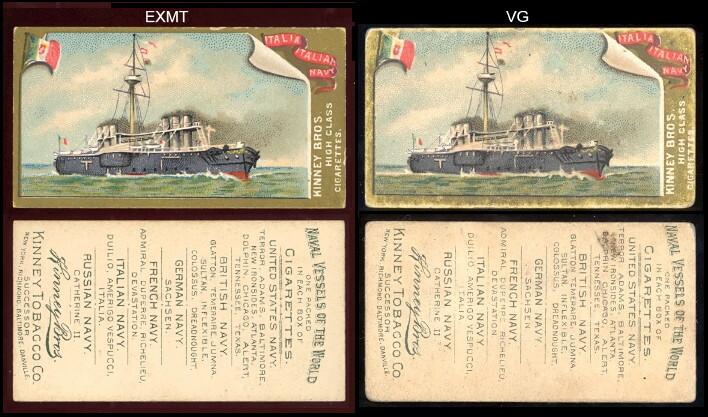 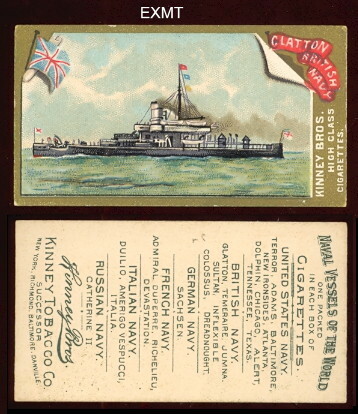 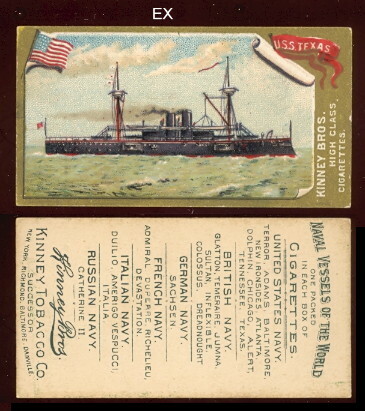 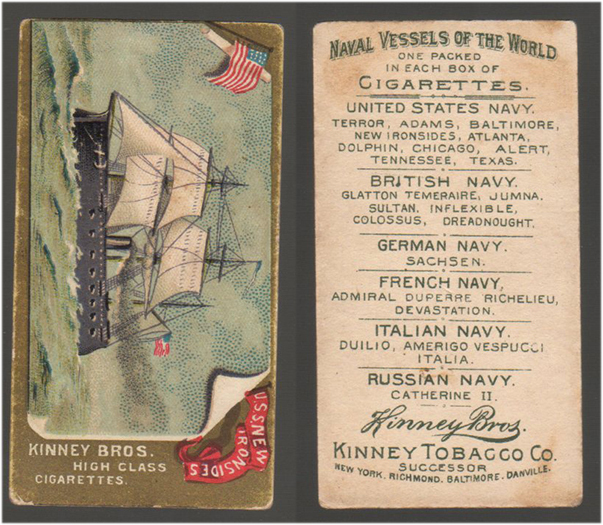 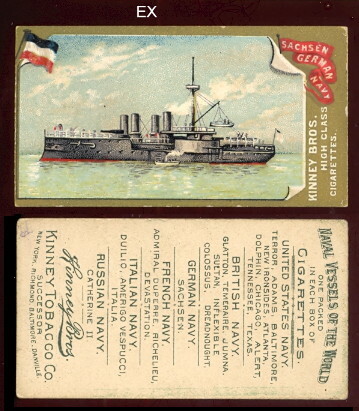 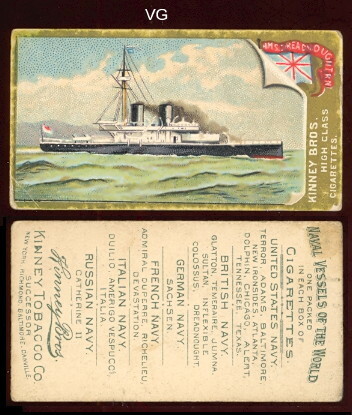 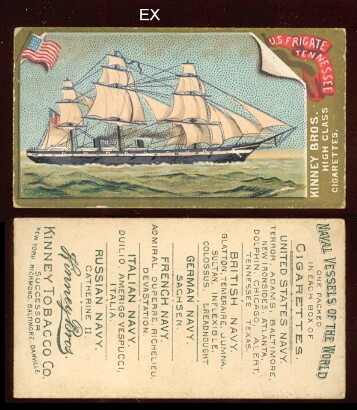 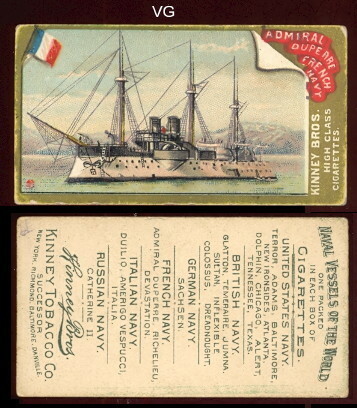 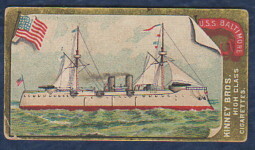 Kinneys Naval Vessel series of 25 cards was produced around 1889. 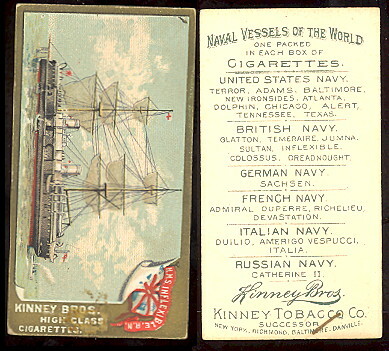 These measure 1-1/2" X 2-3/4", and have an unnumbered checklist on the back. 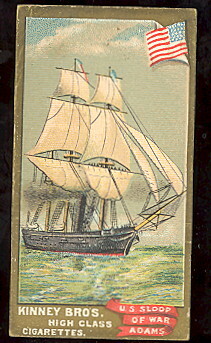 There are 25 cards in the series.